We are established since 1975 and always kept pace with time. Making a beginning with NPK granulation plant and then diversifying to Certified Organic Inputs, Palletized Animal Feed (cattle, Pig, Rabbit, Fish) and Organic Animal Feed. The present situation of agriculture demand more output, better realization to farmers, cost effective smart inputs and reduced cost of application that too without harming the environment, cattle and life of human. Human and cattle are forced to intake harmful chemicals which has adverse effect on health, reproductive capability and there life cycle. Use of responsible inputs in agriculture and animal feed can solve and reduce the effect of exposure to chemicals. 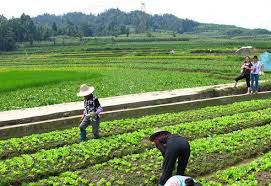 Organic agriculture is advocated by government, Companies, Cooperative and NGO. With increased awareness amongst farmers and availability of suitable and effective inputs, market linkage, adoption of organic agriculture is catching pace. Each success story helps and motivate thousands of farmers to adopt to organic system which inturn save thousands of human and cattle from unwarranted intake to chemicals. The cattle are integrated part of human civilization. The feeding and hygiene system of cattle need topmost attention as prolonged intake of chemical laden feed and disinfectants has serious long term consequences on life and health of cattle. A complete prohibition of synthetic source of nutrition is rapidly getting awareness and switching towards organic feed is in progress. 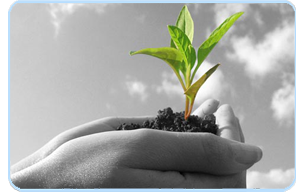 We, at Suraj shree chemicals ltd., use best resources and scientific talents available, to develop organic solutions for agriculture, Feed and Sanitation system. The key objective of company is to ensure organic solutions for all necessary aspects of agriculture be it for IPM or INM or Weed control or water conservation. Apart from this we offer chemical free organic feed solution for Cattle, Pig, Rabit and Fish.